John Michael Freeman, 32, of Kittanning, passed away on Thursday, April 4, 2019. He was born June 16, 1986, in Kittanning to Brian and Pamela (Harshman) Freeman. John leaves behind to cherish his memory his mom, Pamela; daughter Breanna; sons Johnathan and Kolton; niece Braelyn; nephews Rylee and Bryan; grandfather Howard “Poppy” Harshman; grandmother Doris “Gram” Harshman; and numerous aunts, uncles and cousins. John was preceded in death by his father, Brian Allen Freeman; a brother, Ryan Andrew Freeman; a son, Kaden Ryan Freeman; an uncle, Stacey Todd Freeman; an uncle, Leslie Allen Harshman; and paternal grandparents Charles and Patricia Zimmerman. 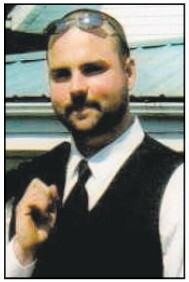 Friends will be received from 2-4 and 7-9 p.m. Monday, April 8, 2019, at the Snyder-Crissman Funeral Home in Kittanning. A funeral service will be held at 11 a.m. Tuesday, April 9, 2019, in the funeral home with additional visitation from 10 a.m. until the time of the service, with the Rev. Jimmy Edwards officiating.